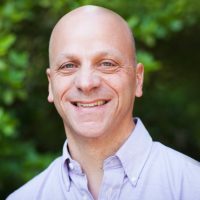 Michael Brauer joined the UBC faculty in 1991 in the Department of Medicine. He was an inaugural member of the Occupational Hygiene Program, Director of the School of Environmental Health (2003-2008) and the Occupational and Environmental Health co-lead in SPPH (2011-2014). He holds associate appointments in the Division of Respiratory Medicine and the Institute for Resources, Environment and Sustainability at UBC and is an Affiliate Professor in the Department of Global Health at the University of Washington. His research focuses on linkages between the built environment and human health, with specific interest in transportation-related and biomass air pollution, the global health impacts of air pollution and relationships between multiple exposures mediated by urban form and population health. He has conducted monitoring and epidemiological studies throughout the world and served on numerous advisory committees (e.g. World Health Organization, Climate and Clean Air Coalition, the US National Academies, Royal Society of Canada).